You’d never believe me if I told you that I drank an electric blue tea but it’s true and I can prove it. Imagine this. It is a normal enough scenario. You visit a friend's house and find yourself unfailingly facing the question. You know the one. "Would you like some tea or coffee?" You smile and say tea, then head back to your conversations with the other members of the family. After a few minutes, you hear the clinking of glasses announcing the tea has arrived and turned to grab your cup. And this is what you see. "TEA??" I seek to clarify. Yes, I am sure you have heard of green teas and black teas and perhaps even been privileged enough to have exotic white teas but how many of you can honestly say you had blue tea? Having enjoyed my share of rooibos, sencha, chamomile and Earl gray, my tea-loving palate was naturally curious when I came across the words 'blue tea' online. Intrigued, I read up about it. The distinctive blue colour comes from the petals of the Clitoria ternatea / butterfly pea flowers. They are made from hand-picked butterfly pea flowers. Other names for the same are Aprajitha / Cordofan pea / Asian pigeon wings. The official name is the Clitoria ternatea plant. It is a caffeine free, herbal tea that is rich in anti-oxidants. This blue coloured brew has actually been available for centuries in South East Asia. 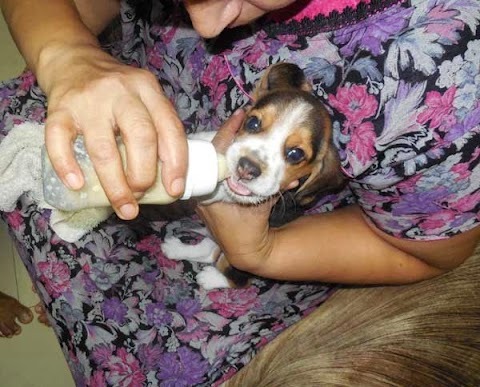 It is only recently getting popular world-wide though and is not easy available. That distinctive blue colour comes from the petals. In Thailand, this tea with lemon and honey is served as a refreshment at hotels and spas. 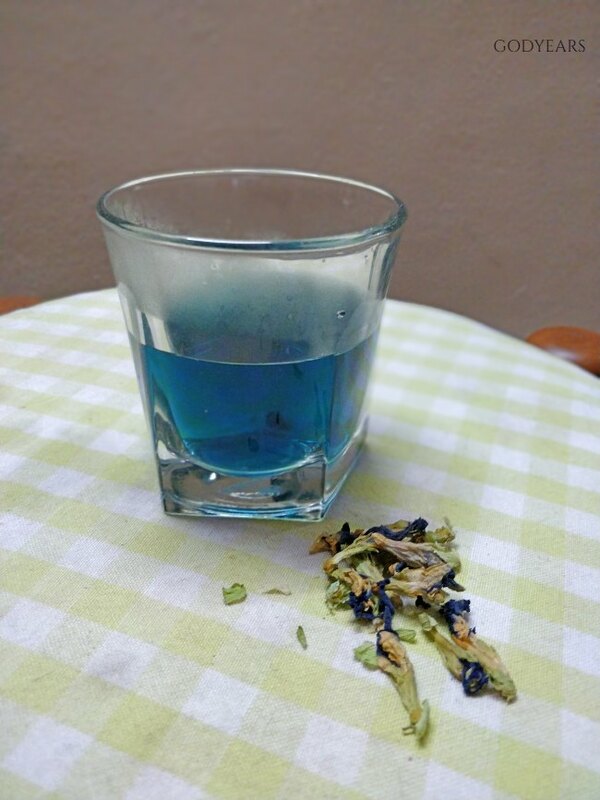 Something which I learned and want to try soon is that this tea changes colour with changes in pH. So if I were to add lemon to this brew, it would turn from this vibrant blue into a purple tea! Imagine how awesome it would be to serve your guests alternate cups of blue and purple tea! I used the Instacuppa tea infuser I have to make this (simply because it is loads of fun!) You can check out how the blue colour comes instantly from the video below. Well, it is mildly floral but not as empowering as a chamomile or imperial white tea. Would I recommend it? Definitely. It is a good tea to have, considering it offers the benefits of green tea and is definitely more flavourful! 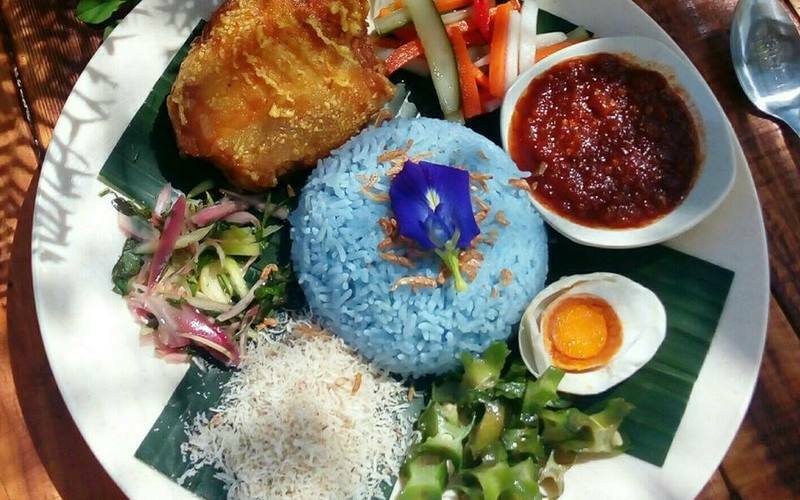 Fun fact: The distinctive blue colour that comes from the tea when placed in hot water is also used in making dyes or food colouring as seen in the Malaysian rice dish nasi kerabu. That gets me thinking: you can use this same principle for adding vibrant colours to other food items too, right? Anyway, that is it from me for now. Tell me, given the chance, would you be willing to try out a blue tea or is it the safety of regular tea for you? This is not a sponsored review. I am actually participating in Write Tribe's Festival of Words June 2018. 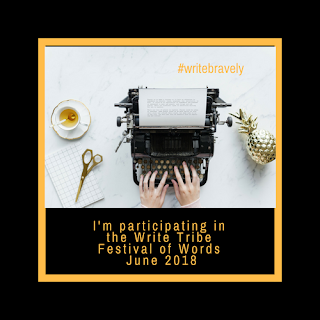 Their prompt for Day 1 - "Use this sentence in your post : You’d never believe me if I told you that I _____________, but it’s true and I can prove it." got me thinking of this blue tea and so I wrote about it. 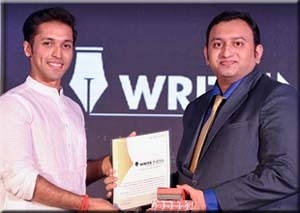 You can read other bloggers take on Day 1 of the Write Tribe Festival here. This is the first time that I have heard of blue tea. I'm putting this on my must try list now. It is available online to purchase... worth a try for sure. Now this was something new to me. If I am not wrong then Alarajitha is also called Neelkantha eighr? Never knew it can be used in herbal tea. Happy to join you on WT. I’m already on my way to Amazon to order some. Thanks for the amazing introduction! Blue tea is just rad, if I am using the term correctly! 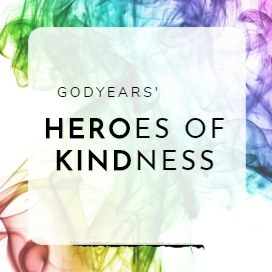 I love my teas, so have to check this out online. 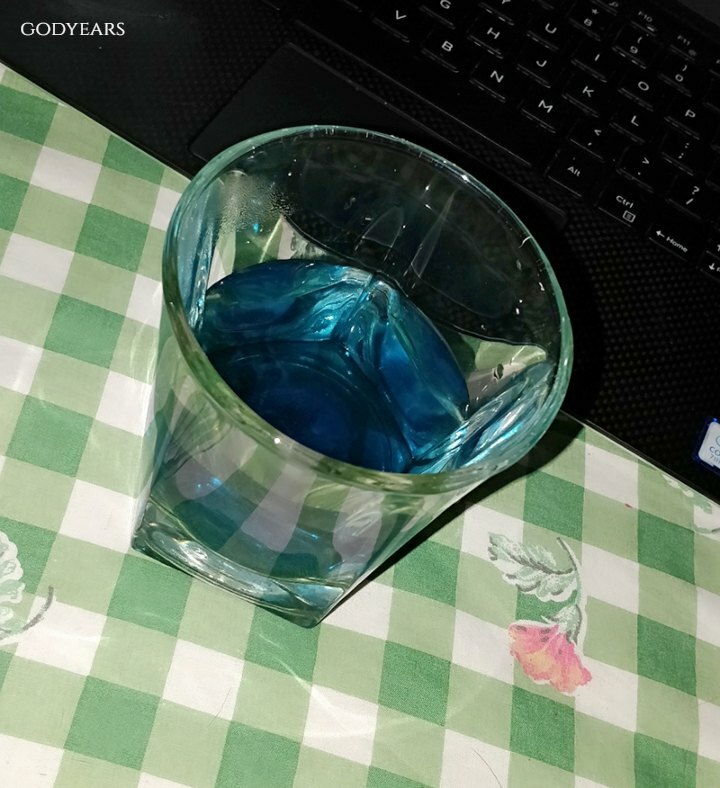 Blue tea? I didnt even know about it! Its the flavor of Aprajitha. Im going to buy this soon. I haven't had Blue tea yet, but I remember seeing it at Shanghai few years back in the name of Floral tea and it had amazing health properties. I never tasted blue tea ever, though saw many times on Instagram feed. I am still conventional when it comes to tea, milk and with sugar. But this blue looks tempting. 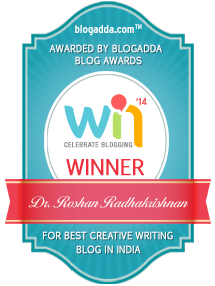 I have always found something new in your blogs. You are so updated Roshan. I truly admire your intelligence. I am not sure if I would like the taste of blue tea though I am regularly drink green tea. Hadnt heard or seen blue tea but really looks tempting will check about it as I am a tea lover too. I am a tea-lover or a tea-addict whichever way you see it and I love trying out every variety of tea each time I go travelling. This one certainly fascinates me...I love the colour too. 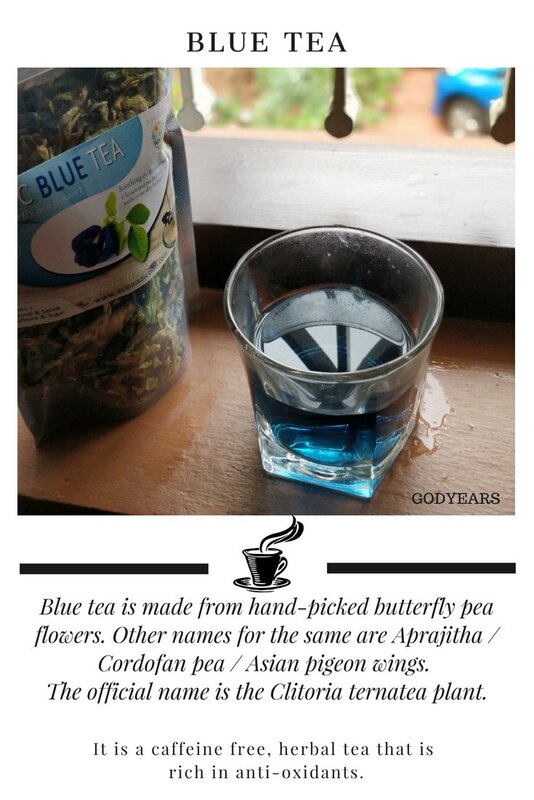 Not sure where, but I did come across Blue Tea in a fellow blogger's post and it had piqued my curiosity then. Now, I am keen to try it out and find out if it also tastes as good as it looks. Of course, I would definitely try it. It looks tempting as well. Thanks, Roshan. 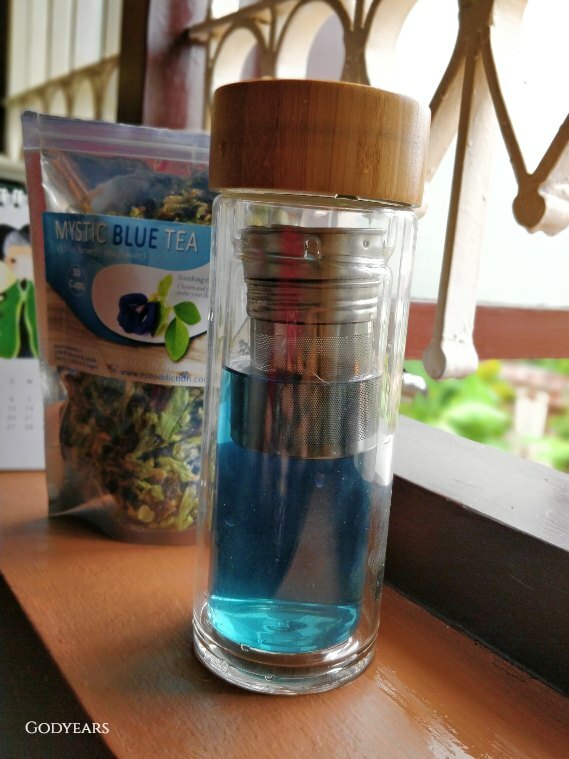 I wouldn't have known about blue tea if not for your post. I saw this once in Teabox ads. Intriguing. But the fun thing here is that there is no actual tea in a herbal tea. It's mostly herbs and spices. And in this case flower. We have this flower growing in our neighborhood. Beautiful. Blue Tea!! That sounds interesting. I would love to try it.